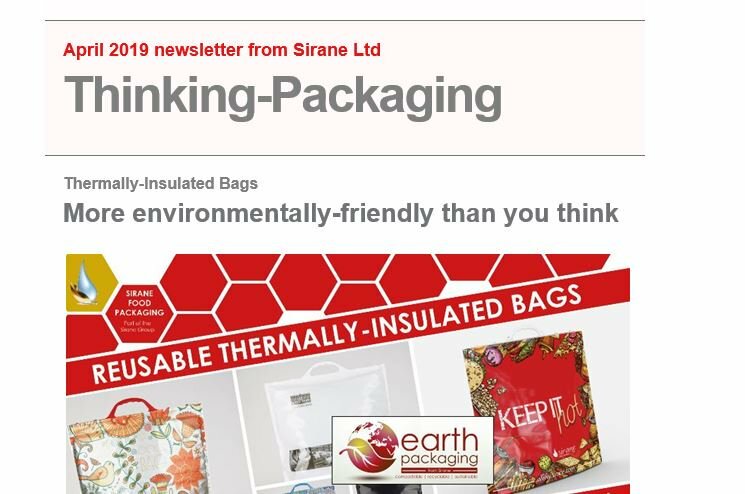 THE latest edition of Thinking-Packaging - keeping you bang up-to-date with all the news from Sirane from the last six months - is out now. With a focus on multiple awards for our plastic-free Earthpouch packaging, major expansion news both at home and overseas and more.... check out all our recent news. Click here to read the magazine online... and email sales@sirane.co.uk if you need more information on any item.